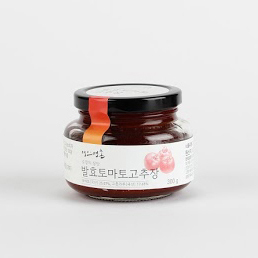 The Korean plum variant “maesil ” contains many generous citric acids and boosts the metabolism. The liquid extrait is the primary product that tis made of these 3 years fermented fruits. 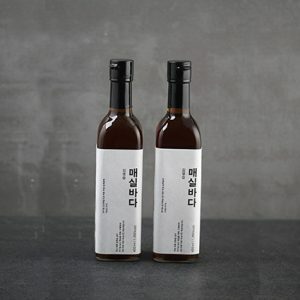 The Koreans use it as a substitute for sugar but their are alternative way to enjoy them, like in this syrup. Very suitable for cocktails. That’s why they call it “the spirit of taste”.Suitable for cocktails, drinks, sauces or yaourt. Sea salt is stuffed into bamboo tubes, and the ends pugged with miniral)rich clay. The assembly is roasted up to as many as 8 times in a pine wood kiln. Therefore it requires a very long process. 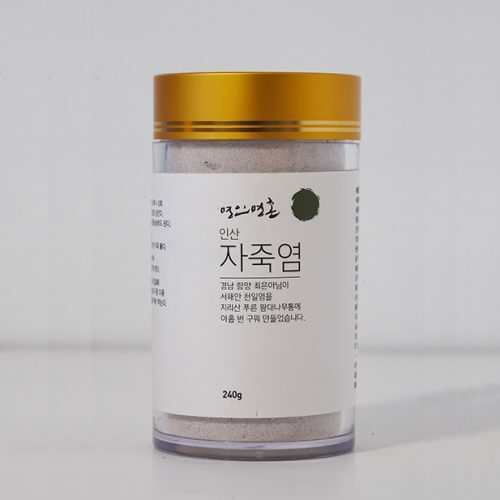 The trace elements in the clay and bamboo are thought to make this form of salt more healthy. Suitable for cocktails, drinks, sauces or yaourt.